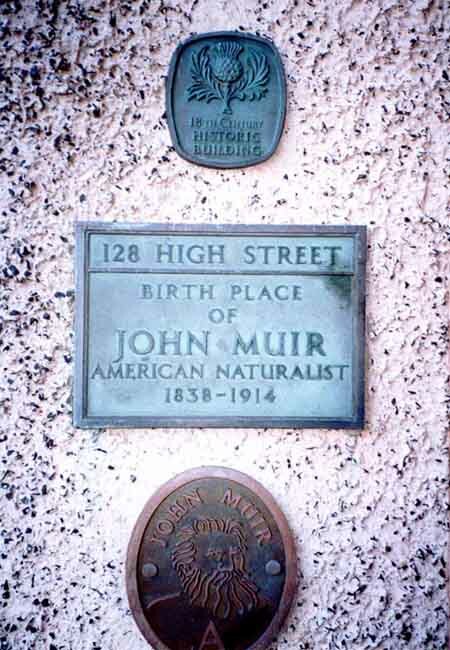 Museum celebrating the life of conservationist John Muir, Scotland, who lived in this Dunbar house but later ‘called his home next door’. John Muir loved the nature around Dunbar: the John Muir Country Park just west of Dunbar is set up in his memory. 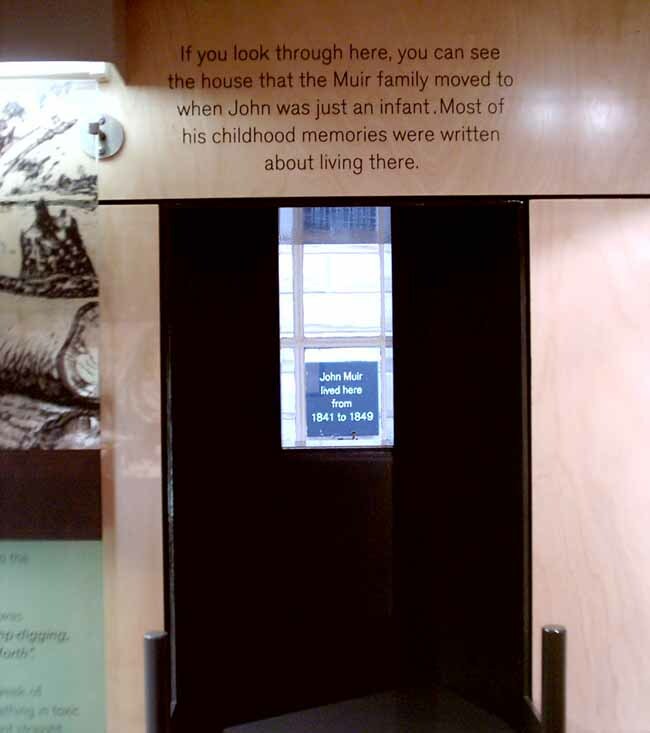 For seven years Dunbar’s John Muir Association (DJMA) has pursued a dream – a John Muir Centre in Dunbar. 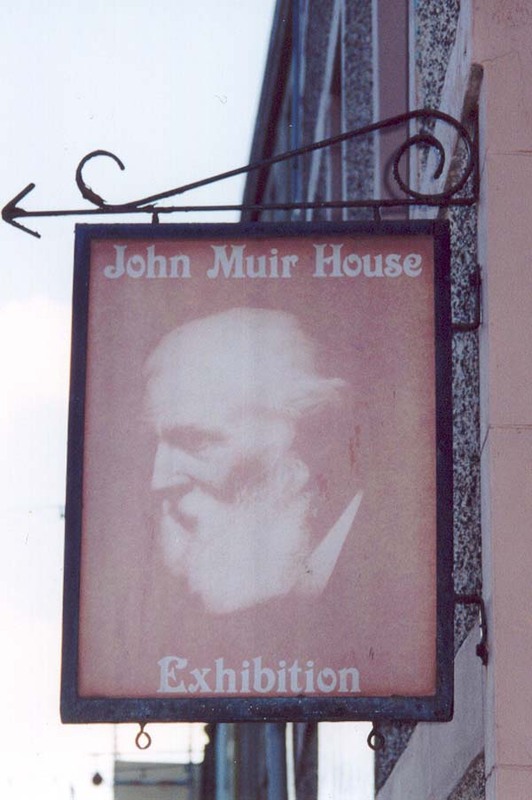 We, past and present members of the Council of the association, wish to make public our firm support for the planning application by the John Muir Birthplace Trust, currently before East Lothian Council. 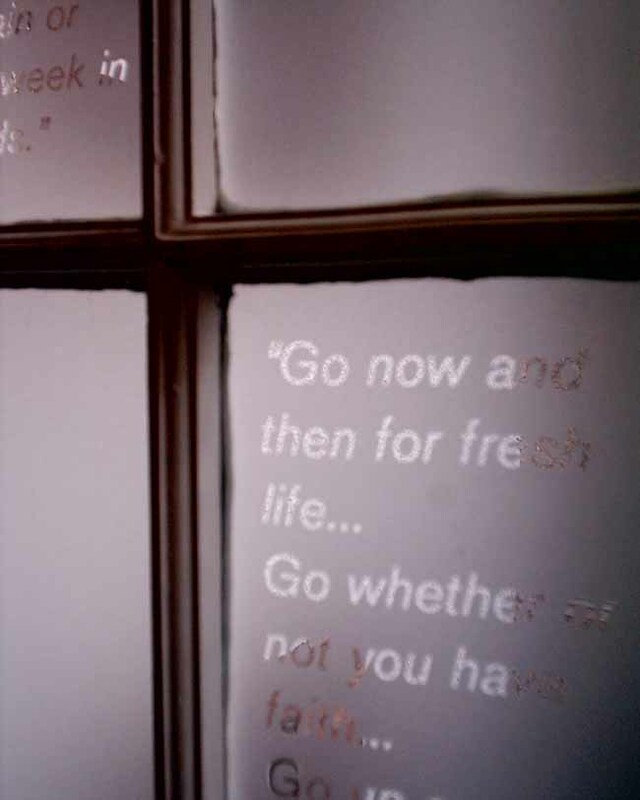 Over the past three decades, East Lothian Council has acknowledged its famous son in many ways, but the relevance of John Muir’s ideas and vision to the new millennium deserves a new, sustained and imaginative attempt to attract the attention and involvement of the whole population — young and old, knowledgeable and uncaring, sophisticated and matter-of-fact. 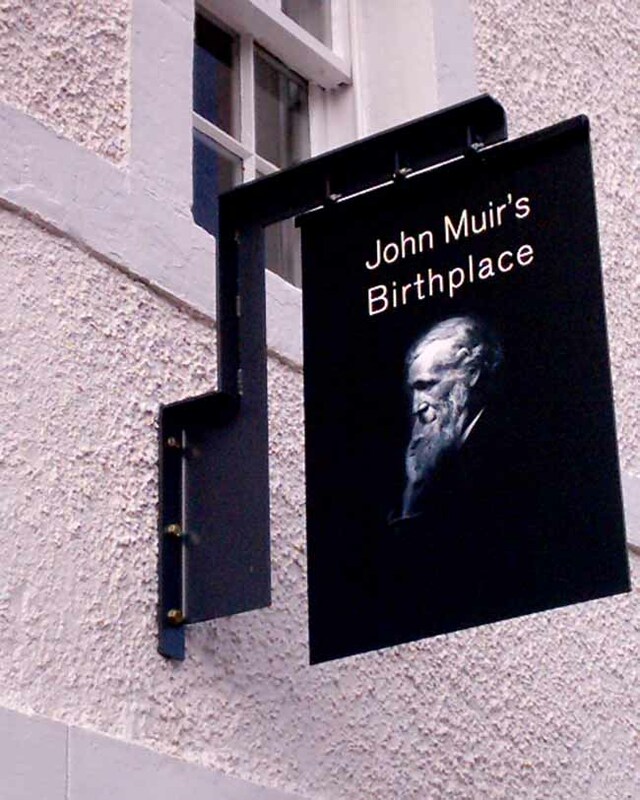 We welcome East Lothian Council’s co-operation with us and the John Muir Trust, in setting up the Birthplace Trust to use Muir’s first home in Dunbar to that end. A short leet of three consultants was invited by the Trustees to make a presentation to them on 31st January, 2001. The chosen three were Simpson & Brown, Architects; Benjamin Tindall, an architect well known for his interest in Muir; and Campbell & Co. 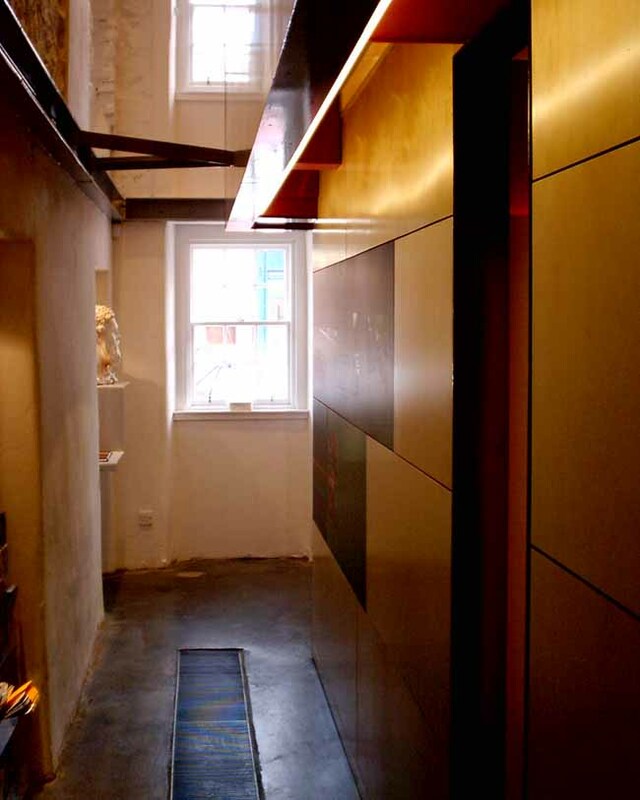 The Trustees unhesitatingly chose Campbell & Co., working with architect Richard Murphy, for their potentially delightful solution to a complex and demanding brief — an ingenious and original response to the challenge, in keeping with Muir’s own inventiveness. 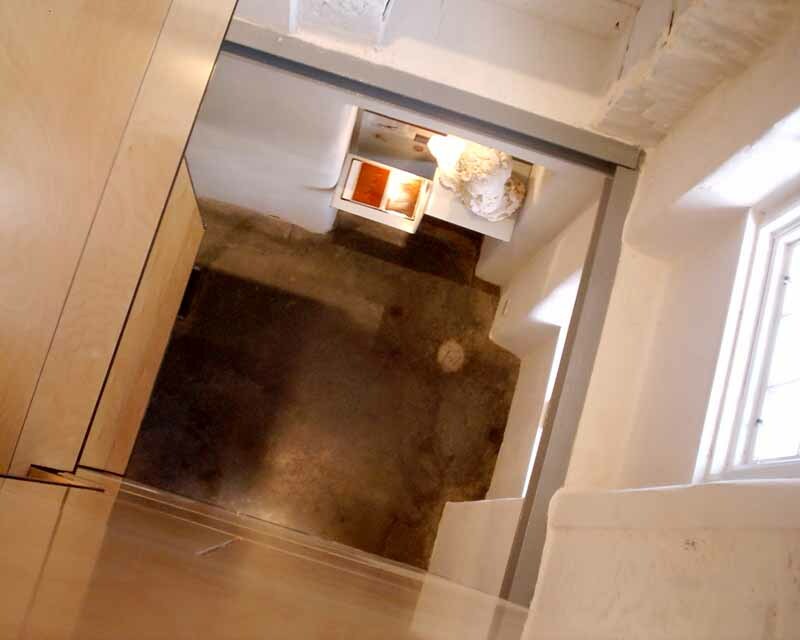 Some sacrifice has to be made to install a lift into a house of small, modern, domestic rooms. This house has already been radically altered twice in the recent past, and as the museum had in consequence no authenticity and at best gave an impression of period which appealed to the sentimentality of visitors, the decision was made to remove all the reconstructed 1980 work, sad though it is to see the end of a familiar place which has served the memory of John Muir well for 20 years. All the historic fabric of the building will still be there. 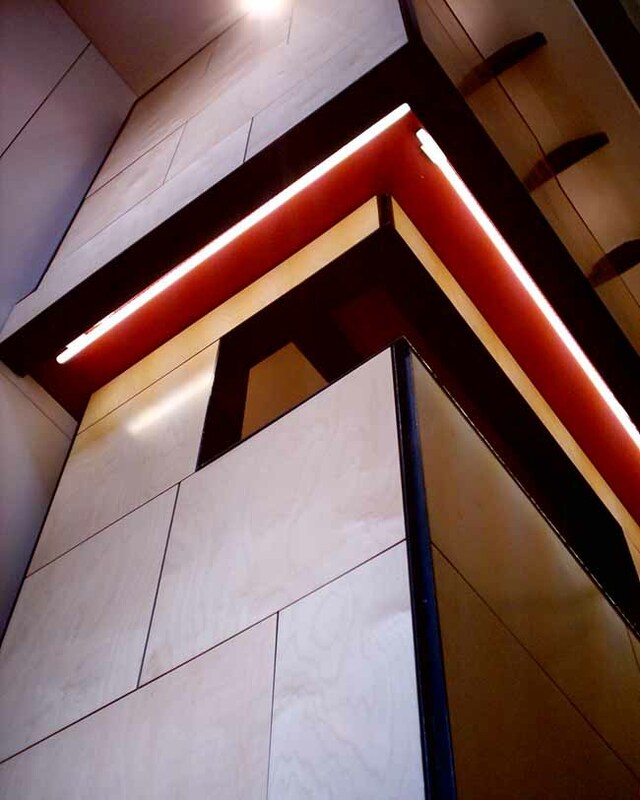 Moving up through a free-standing, three-storey timber tower the visitor will get a series of glimpses across spaces created between the tower and the revealed interior of the original walls, and indeed occasionally through the windows out to Dunbar itself. 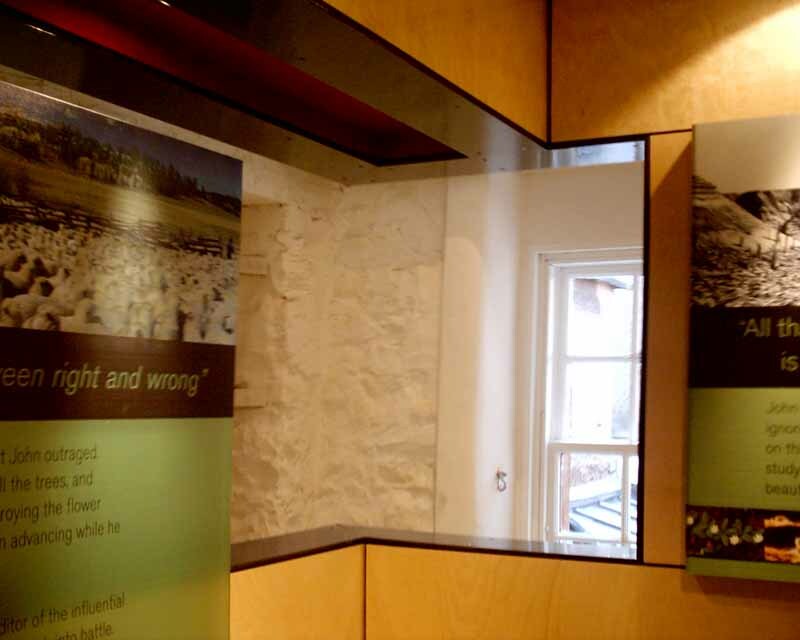 Communicating Muir’s vision of the importance of wild places, the renewed birthplace will be engaging and fun, a place that visitors will want to return to, a place that will inspire them to explore the shore, countryside, castle and harbour where his attitudes were formed. We are satisfied that this proposed development of the birthplace is not just an adequate, but a most exciting and worthwhile response to the brief set out by its Trustees, a brief based on the many discussions that were hosted, for any who cared to attend, by Dunbar’s John Muir Association over the years. This building must never be thought of as just an interesting little folk museum, about a Scots Victorian who happened to write some interesting books. Instead, a high-tech tower stuffed into an empty shell? Definitely not! 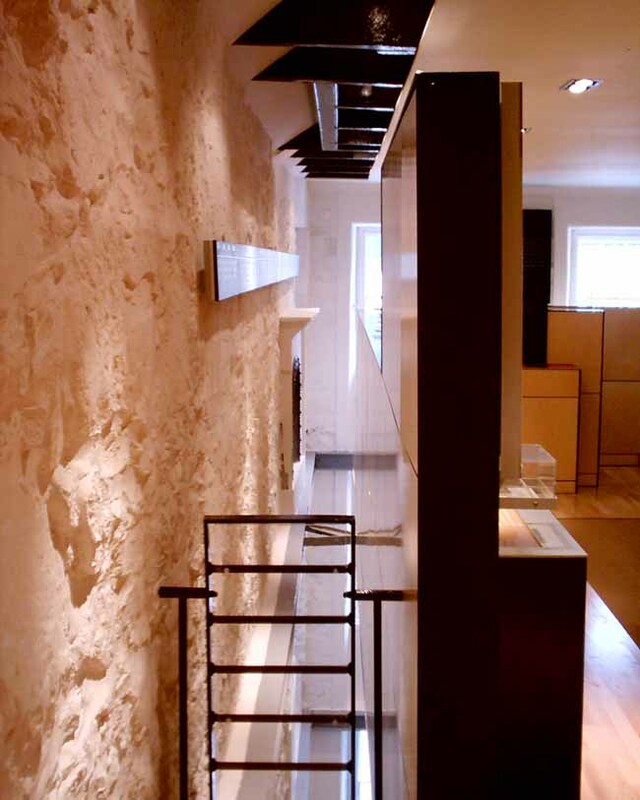 We see the timber structure rather as a tree – a tree rooted in the foundations and surrounded by the very walls that sheltered the baby who was born here in 1838. The tree tells the story of his life, spreading out as it rises. And in its topmost branches there will be nesting places for messages, flying to and from the whole wide world. 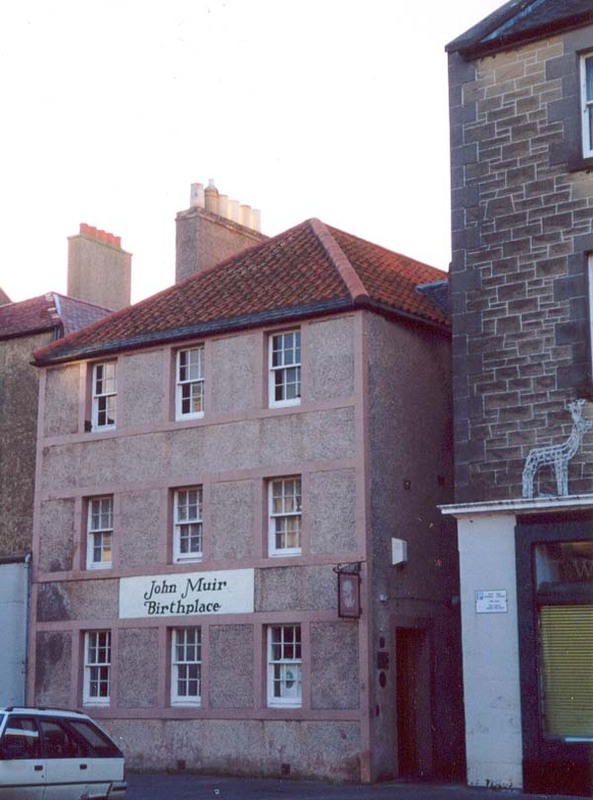 I am deeply distressed to hear that AHSS has lodged an objection to the proposals now before East Lothian’s Planning Committee for John Muir’s Birthplace, Dunbar. 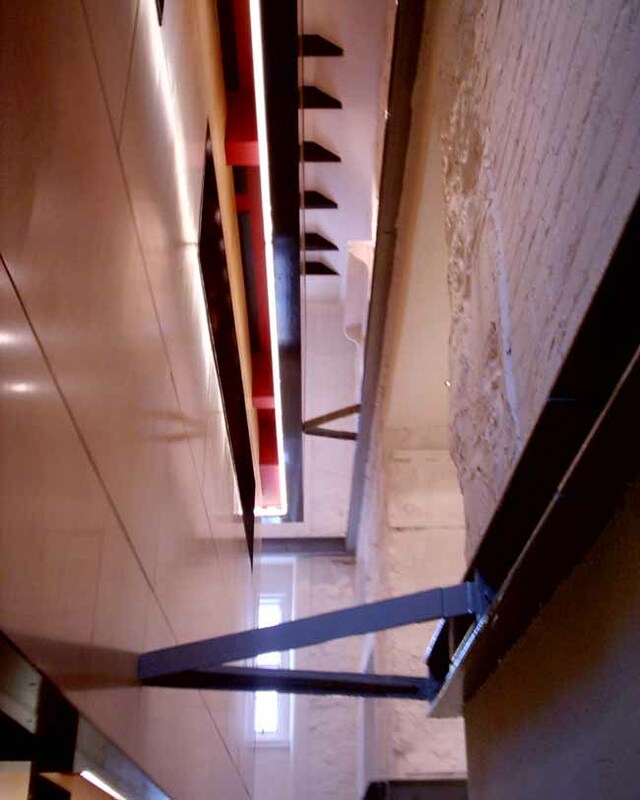 I can only assume that you have not looked at the Report by Nicholas Groves-Raines (see http://www.jmbt.org.uk/report/index.htm) which clearly shows that the interior of the building is all of recent origin. It would be ludicrous for AHSS to insist on preservation of the pseudo-historic rooms which were stuffed into the gutted building in 1978-81. They have served their turn, and done it well, but the time has come to look ahead. Over the last 13 years an enormous amount of voluntary time and money has been spent trying to create a centre in Dunbar which would honour John Muir and, importantly, make visitors aware of his ideas. Proposals to build a new environmental education building, and at the same time to use the Birthplace as an example of mid-C19 working and living spaces, did not, in the end, attract sufficient funding. This proposal has done so, and has the firm support of both Dunbar Community Council and East Lothian Council. I do not think it is an exaggeration to say that there is only one person among those who have been most closely involved with this project who does not support the current plans. Unfortunately he is also the most vocal! 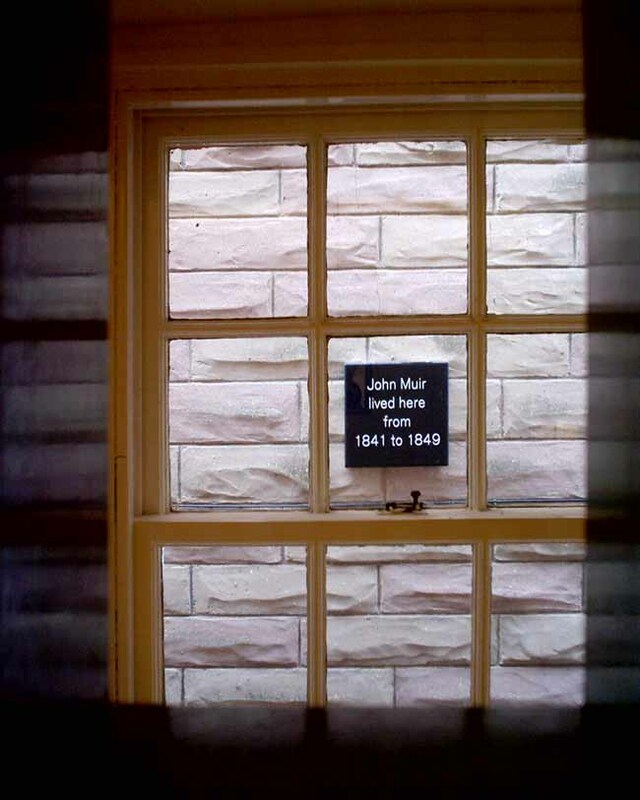 If AHSS wants to spend money on re-construction, the place to do it is surely the house next door, which was John Muir’s lovingly remembered home for 9 of his first 11 years. 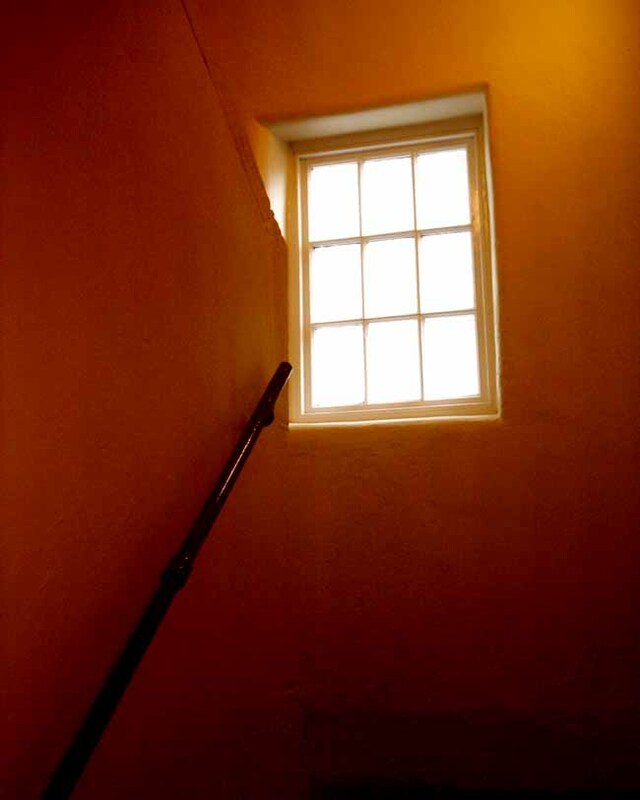 Its former dormer windows are well documented, and famous. 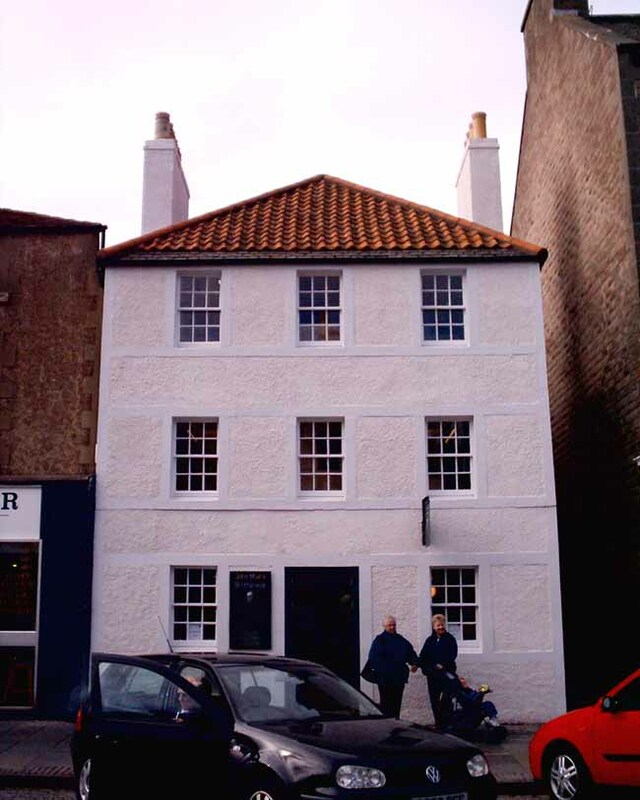 Their restoration would make a dramatic transformation to Dunbar’s townscape. I beseech you to withdraw your objection. Thank you for your letter concerning the e-mail from Historic Scotland to Graham White which came in error to my computer. “. On the contrary, I am glad to have been alerted to Mr White’s campaign to influence the outcome of your deliberations. I would like to place on record my support for the proposals for 126/8 High Street, Dunbar. All that is original of the fabric will be retained, and it seems to me that the Birthplace Trustees have chosen an outstandingly delightful, unexpected and ingenious solution to a complex and difficult brief. I write not only as a Dunbar resident and founder Convener of DJMA, but also as a life member of AHSS – indeed, I was assistant secretary in its early GeorgianGroup/Scottish Georgian Society days. 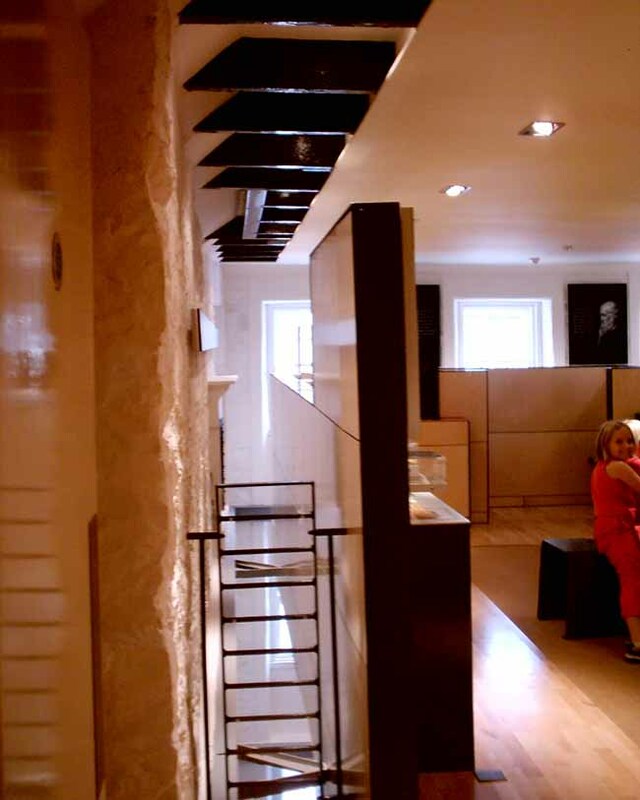 I am also a life member of the Cockburn Association and an early contributor to the Cockburn Trust, so you can be sure that I am not prejudiced against the conservation of old buildings. I hope that Historic Scotland will not find cause to reject these proposals for the future history of Dunbar. Thank you for your letter of 9 August. The local panel have asked the National Technical Committee be convened to consider the matter, and their response, including the new information revealed in the report, will inform the panel’s subsequent response. issues such as these are not necessarily simple, and 1 believe that the society, through its local groups, gives a balanced and considered response informed by the material available for consultation. I note that our response to the case was submitted on 5 July, prior to the availability of the Nicholas Groves-Raines July study, and so could not be used to inform our decision. Slack procedures by applicants, usually attached to the supply of inadequate information, only too often give rise to the kind of polarised (and often poorly informed) discussion that we see in this case. Sadly there is nothing the society can do to require the kinds of study that Nicholas Groves-Raines has produced to be submitted as part of an application. I am sure that you would-not want anything less from us.